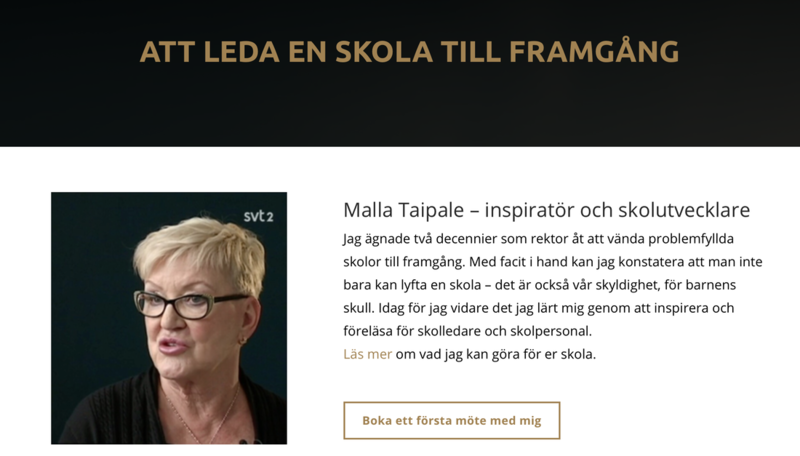 I manage websites/blogs and develop online strategies for professionals, such as the Leadership Consultant Malla Taipale, renown for turning several troubled schools around. ​I also edited and published her book ”Rektor, Sveriges viktigaste chef” (Head principal, Sweden´s most important leaders). Intertek Sweden - A provider of global certifications. ​​In 2018, I helped the Communication Team update the texts on their website, implementing a more user friendly approach. ​In 2010, I created a communication strategy that resulted in a blog and a Newsletter from the Director.​ I blogged about European environmental legislation and hazardous chemicals. I was the Content Manager of Solna´s former tourist site, in Swedish and English. I wrote the city´s application to host the UEFA Women´s European Football Championship 2013. The application was granted. Visitsweden.com - Sweden´s official tourist organization. I was a Content Manager on the site´s Spanish version. I wrote/edited articles and newsletters. Edited/published photos. Analyzed visitor sessions and web campaigns (raising the number of visitors by 900 %, from 3000 to 30 000/month). ​I wrote/translated between Swedish, English, and Spanish. 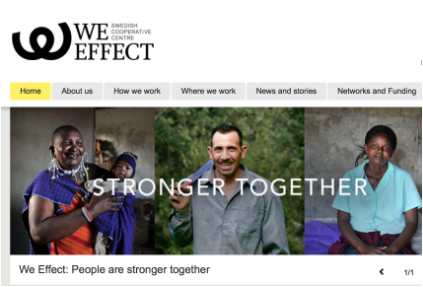 ​On occation, I wrote material for the B2B site and the CEO blog. I wrote/translated presentation texts for their website and for all the 44 countries where they were active in at the time. In Swedish, English, and Spanish. ​The country presentation was a summary of the history, geography, climate, religion, society, political and economical situation.